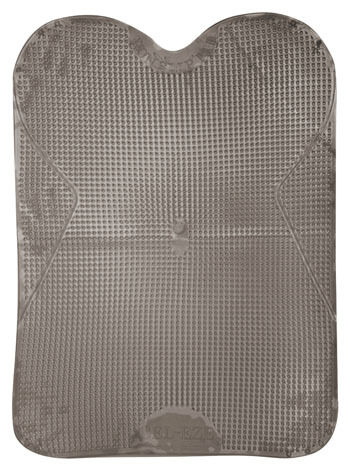 Stephen’s Gel-Eze Non-slip pad is only 3 millimeter thick, incorporating trace lines so you can shape the pad. The impact-absorption qualities of the gel are well known, and now we are distributing this innovative product that every horse owner should have. Furthermore, GEL-EZE is non toxic, washable, reusable non-slip gel and is environmentally friendly. Can fit most types of saddle as the non-slip pad can be cut and adjusted. Ideal for cob or round barrel horses whose saddles are prone to slipping when mounting or whilst riding.